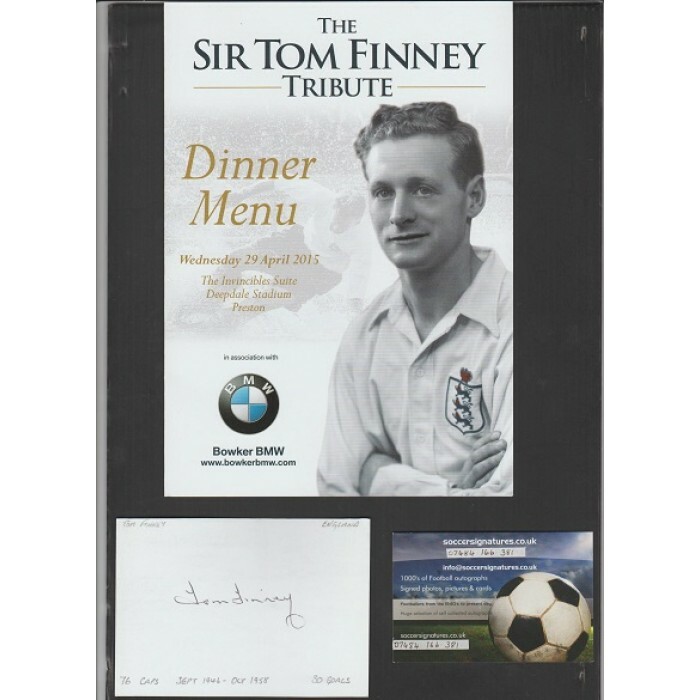 Home » Signed card by and trubute dinner menu for Sir Tom Finney the PNE & England footballer. Tom Finney. Plain card (bit bigger than credit card size) hand signed by the late great SIR TOM FINNEY the PRESTON NORTH END & ENGLAND footballer. Also as part of this lot you will get a TRIBUTE Dinner Menu (not signed) for the dinner held for SIR TOM on the 29th April 2015 at DEEPDALE STADIUM, PRESTON. 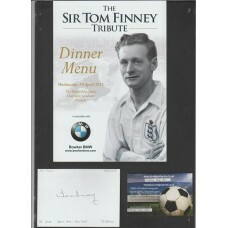 This is a wonderful item and great piece of football memorabilia relating to a true gentleman and master of his game.